I stumbled recently upon this passage from Murray Rothbard’s review of Unemployment in History by the distinguished historian John A. Garraty. 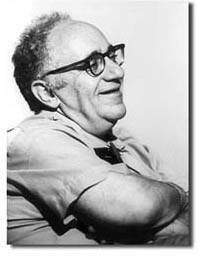 Rothbard’s review, published in 1978, raised an issue that has come up in previous discussions of the Freakonomics phenomenon (1, 2, 3, 4): Can a little theory, without accompanying real-world knowledge, be a dangerous thing? My strictures against history which lacks any sound theoretical base are not meant to be an act of intellectual imperialism on behalf of economics and against history or other disciplines. Quite the contrary; the economist who ventures into the historical arena armed only with a few equations and mathematical razzle-dazzle has wreaked far more damage than the uninspired and slightly bumbling historian. For the economist, particularly the latter-day “cliometrician,” aims to flaunt his arrogant “scientific” pretensions of encompassing and explaining all of world history by means of a few mathematical symbols. The economist who knows no history understands far less than his opposite number in the historical profession; but his claims are far greater. Therefore, he is much wider off the mark. I seem to be on the “communitarianism” mailing list of Amitai Etzioni, missives from which are usually good for a cold frisson of annoyance. The most recent one seemed promising, however, as it touted a paper revisiting the capture theory of regulation. Many people have rightly criticized the Dodd-Frank Act for piling on unnecessary administrative regulation despite the fact that (A) regulation was already extensive and provided all the powers that would have been needed to avert the crisis and (B) much of the new regulation is aimed at activities that have nothing to do with the financial crisis. Etzioni points out that the potential for regulatory capture is an additional reason for concern. Quite so. Dependably, however, Etzioni comes to the wrong conclusion about the nature of the problem and how to fix it. To Etzioni, the problem is not the inherent liabilities of administrative regulation but the specter of private money corrupting the system. (Notably, his examples do not include the money of labor unions, which have captured, at the very least, vast swaths of the Labor and Education Departments.) As political speech is a topic on which I have already fulminated at some length, I will just add that, even in a world in which regulators were somehow insulated from financial temptation, there would still be capture: the operation of regulatory agencies depends on the possession of large amounts of specialized knowledge in whose generation the subjects of regulation have considerable, and oftentimes overwhelming, advantage. The Spring 2010 issue of the Journal of Private Enterprise contains a Kirzner symposium, including a paper by Nicolai and me, “Alertness, Action, and the Antecedents of Entrepreneurship.” We critique Kirzner’s concept of the “pure entrepreneur,” arguing that alertness is a historically contingent attribute of real-world business people — what Mises calls “promoters” — but not essential to the entrepreneurial function itself. We also suggest that Kirzner is inconsistent on the issue of antecedents, simultaneously holding that the entrepreneur-as-discoverer exists outside any particular institutional environment, and that certain public policies inhibit entrepreneurial discovery by blocking profit opportunities. Some of the material in the paper is familiar to readers of our other works, but our critique of the Kirznerian pure entrepreneur, in the context of ideal types, goes beyond previous arguments. Oh, some of you may be more interested in the rest of the special issue, which leads with Dan Klein and Jason Briggeman’s broadside, “Israel Kirzner on Coordination and Discovery,” followed by a lengthy response from Kirzner himself. (Our paper is really an addendum.) Pete Boettke and Dan D’Amico, Steve Horwitz, Gene Callahan, Bob Murphy, and Martin Ricketts round out the Kirzner symposium. I’ve been fascinated by the reaction to the Wikileaks release of 90,000+ classified documents related Afghanistan war. US and British (and Pakistani) authorities are predictably outraged, while critics of the war are encouraged that the disclosures could help turn the tide, as did the Pentagon Papers three decades prior. What interests me the most, however, is the massive size of the Wikileaks archive. As the Guardian’s Roy Greenslade remarked, this is “data journalism.” Wikileaks doesn’t analyze, synthesize, attempt to corroborate, seek alternative points of view, write up the inverted-pyramid lead, or do the other things respectable journalists are supposed to do; it just dumps the data and lets others sort it out. Some find this approach distasteful. A Pakistani official said “these reports betray a lack of understanding of the complexities of the nations involved.” Well, sure. They’re raw data, nothing more. But isn’t sharing data, and not just analysis, a quintessential New Economy phenomenon? Don’t we have search and analysis tools, data-mining algorithms, page rankings, and other means to sift through the huge piles of stuff that constitute the long tail? Shouldn’t expert commentary and analysis be replicable? Many journals now mandate data-sharing. E.g. : “It is the policy of the American Economic Review to publish papers only if the data used in the analysis are clearly and precisely documented and are readily available to any researcher for purposes of replication. Authors of accepted papers that contain empirical work, simulations, or experimental work must provide to the Review, prior to publication, the data, programs, and other details of the computations sufficient to permit replication. These will be posted on the AER Web site.” Why should foreign-affairs reporting be different? Busenitz and Barney (1997) famously argued that entrepreneurs (founders) are particularly susceptible to overconfidence and representativeness biases. Compared to professional managers, entrepreneurs systematically overestimate the probability that a new venture will succeed and tend to draw unwarranted generalizations about the future from small samples. Overconfidence is now one of the major themes in the contemporary entrepreneurship literature (Bernardo and Welch, 2001; Forbes, 2005; Koellinger, Minniti, and Schade, 2007). Miscalibration is a form of overconfidence examined in both psychology and economics. Although it is often analyzed in lab experiments, there is scant evidence about the effects of miscalibration in practice. We test whether top corporate executives are miscalibrated, and study the determinants of their miscalibration. We study a unique panel of over 11,600 probability distributions provided by top financial executives and spanning nearly a decade of stock market expectations. Our results show that financial executives are severely miscalibrated: realized market returns are within the executives’ 80% confidence intervals only 33% of the time. We show that miscalibration improves following poor market performance periods because forecasters extrapolate past returns when forming their lower forecast bound (“worst case scenario”), while they do not update the upper bound (“best case scenario”) as much. Finally, we link stock market miscalibration to miscalibration about own-firm project forecasts and increased corporate investment. I’m not aware of any entrepreneurship studies that distinguish miscalibration from optimism, in the sense those terms are used here. Am I missing something? “Is Impact Measurement a Dead End?” by Alanna Shaikh, guest blogging at AidWatch. Moneyball’s Michael Lewis on basketball player statistics (HT: PB). The Urban Institute’s Outcome Indicators Project for nonprofits. Relevant Demotivators: Flattery, Ineptitude, and Mediocrity.